One of the biggest issues for women is their belly. Even a thin person can appear to have one with the way pants are cut these days. With low rise pants still flying off the shelves, us girls are reminded daily that we have body fat. Of COURSE we have body fat. It’s natural, but that doesn’t mean we have to like it. This is when the muffin top comes in. The fat seems to overflow over the top of our pants like a really nice fluffy muffin. Well, I don’t want to be a muffin! While diet and cardio is what we need most to fight excess fat (reducing the muffin overflowing), we can make a big improvement by tightening up our midsection and improving our posture – and what better exercise to use to improve this than planks! Most women’s pooch seem bigger than they really are simply because they have poor posture and a weak core. A weak abdominal wall allows the intensities and stomach to push the belly out. – making people look fatter than they really are. 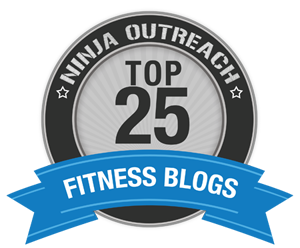 So, the stronger the core, the flatter and tighter the midsection! I was asked to write a simple (but TOUGH) core workout for Gorilla Glass. It needed to be tough, or it can’t have the Gorilla Glass stamp of approval. Gorilla Glass survived 1 meter drops onto rough surfaces with an 80% survival rate. 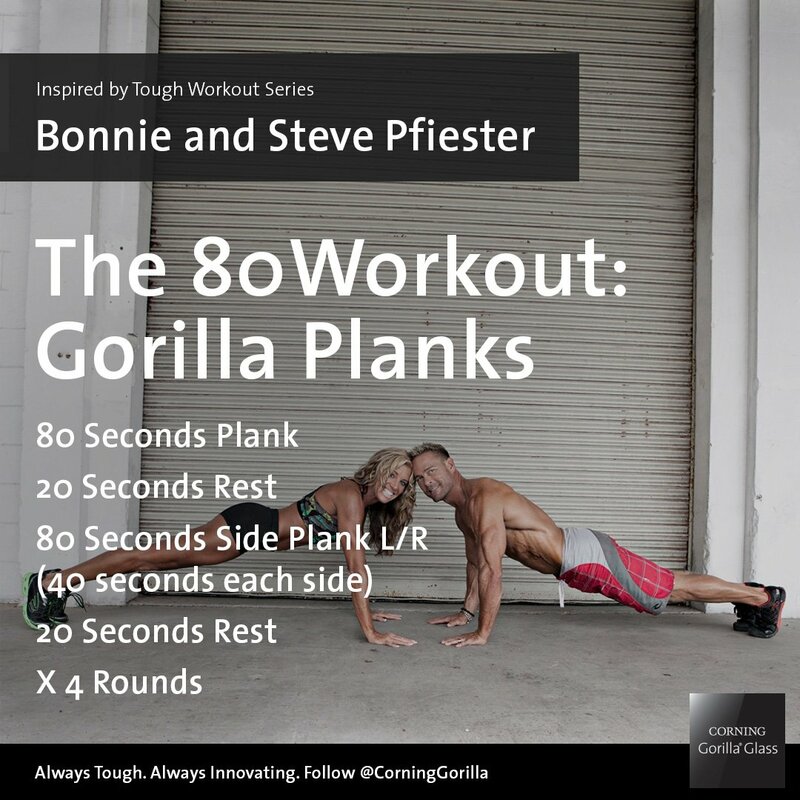 So I used their 80/20 split to create a Gorilla Tough Plank workout. Set your interval timer for 80 seconds of work and 20 seconds of rest – and click HERE to see all the workouts - AND enter to win a sweat-activated tee! !